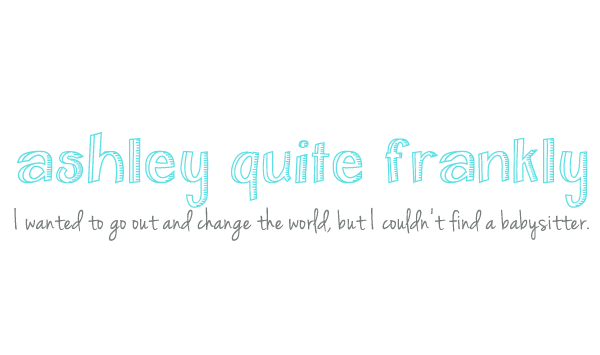 Ashley Quite Frankly: 630 Votes? If you lazy asses had voted for me for Hottest Mommy Blogger, I would've won with a number like that. Lack of votes is probably a direct result of lack of a picture... I'm sure we all think that you are hot (I do), but it's not tangible... just saying. Then what's the excuse for me not winning Best Parenting Blog?? Because there is tangible evidence of my best parenting skills. Come on. My job title is even Head Mom. I Bento lunches (sometimes). My kid's a genius (one of them). Wouldn't you rather be Hottest Mommy Blogger of people's hearts than a real Hottest Mommy Blogger? Well, it worked for Princess Di anyway. I wasn't sure if Head Mom is a titled related to your skills as wife or as mother. I voted then and now, do I get extra credit? sorry, i couldn't resist. the double entredre was too much for me!